Maestro Von Haughty directs a theater company that performs gloomy works of tragedy-or they're supposed to. Unfortunately for the Maestro, his actors are a group of ragtag orphans that would much rather be in a happy play with butterflies and kittens (and perhaps a fairy as well). When the spirited orphans take over the stage, the worst kind of mayhem ensues, and even the stern Maestro can't stop them from turning his dark and dreadful masterpiece into a hilarious romp in the Wild West! 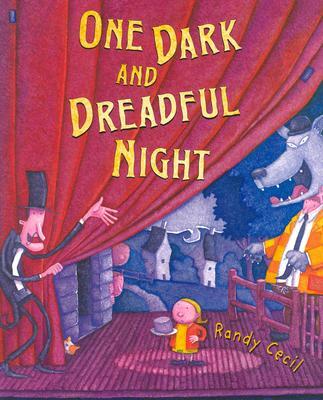 Randy Cecil has illustrated a number of highly praised books for children, including "Dusty Locks and the Three Bears," "Little Red Cowboy Hat," and "The Ugly Princes and the Wise Fool," which won the Christopher Medal. He lives in Houston, Texas.